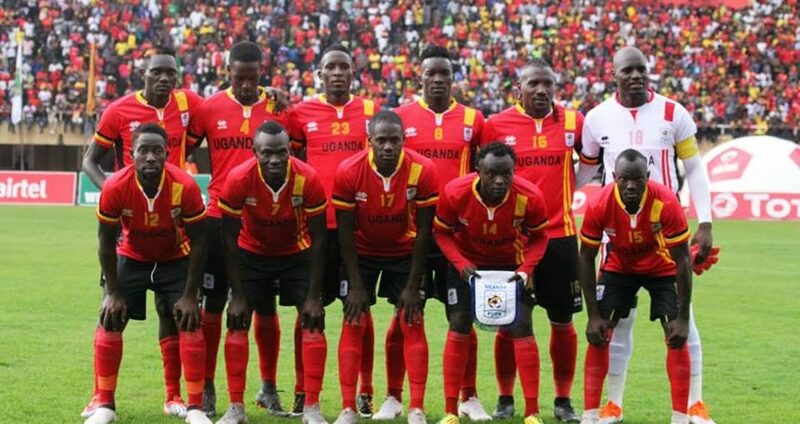 NAMBOOLE – The Uganda Cranes will be hoping to bounce back from last month’s disappointing goalless draw with Tanzania, when they host Lesotho at Namboole on Saturday. The Cranes who were playing under Frenchman, Sebastian Desabre for the first time in an AFCON qualifier failed to click en route to the draw against the Taifah Stars over a month ago. However, Saturday’s fixture with Lesotho presents a chance to make amends and ensure Uganda strengthens their grip onto top spot in the group. Speaking to the press ahead of the game, Cranes coach Sebastian Desabre promised that his side will not be taking Lesotho lightly and that they will do all they can to try and get all three points on Saturday. “We shouldn’t under look Lesotho because they are a good team, said Desabre. “Players should believe that they are going to win the match. “They should also be able to focus on the game to avoid making the same mistakes they did against Tanzania. Lesotho on the other hand go into the game full of confidence after accumulating two points from as many games so far. The Crocdiles head coach Moses Maliehe also promised that his side will give a good account of themselves as they try to get all three points. “We know how Uganda plays and have respect for them because they are top of the group at the moment, Said Maliehe. “However, we are on a mission that we hopefully shall accomplish. “We shall give a spirited fight in the two legs starting with this Saturday game. Both sides go into Saturday’s encounter unbeaten in their first two qualifiers. Uganda have won one and drawn the other while both of Lesotho’s games have ended in stalemates. This will be their third meeting in the AFCON qualifiers. The two played out a doubleheader in 2006 that ended with Uganda winning 3-0 on aggregate. The fixture at Namboole ended 3-0 while the return leg finished 0-0. The Cranes go into the game having not lost an AFCON qualifier since March 2016 (W3 D2). The last game they lost was the 1-0 defeat to Burkina Faso in Ouagadougou. At home, Desabre’s men have lost only one game (90 minutes) in their last 17 (W12 D4) AFCON qualifiers. The defeat came at the hands of Togo in October 2010. For Lesotho, they have won only one of their last 15 AFCON qualifier encounters (D5 L9), winning 2-1 at home to Seychelles in March 2016. On the road, the Crocodiles have lost all but two of their matches since 2006. The only exceptions being the 0-0 and 1-1 draws at Kenya and Tanzania respectively.